Ph.D. in Design is a 3-year full-time Doctorate level course in Design. The eligibility for which is Master degree in Design or an equivalent degree with a maximum of 50 % marks in a recognized institute. In private colleges, students should attend the entrance exam and the personal interview to get admission for this course. Admission to Ph.D. in Design course may vary from one institute to another. Students who would like to study this course in government or under-governed colleges can attend counseling conducted by the universities and select the required college to study. This course prepares students on how to take a bare shell and design the space with fabric, furniture, and lighting. Ph.D. in Design course has been structured to enable students to get a better understanding of various aspects of design such as space and structures and the way we interact with them. After completing Ph.D. in Design course, graduates may get jobs in major areas like Information Technology, Environment Design, Textile Industry, Fashion Design, Events Management Companies, Film Companies, TV, Theatres, etc. 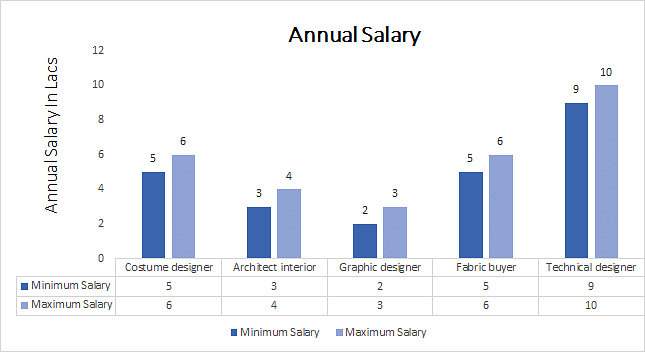 Graduates will work in major positions like Costume Designer, Technical Designer, Fabric Designer, Fashion Coordinator, Interior Designer, Interior Designer Executive, Assistant Manager, Architect, Accounts Executive, etc. Ph.D. in Design: What is it about? Ph.D. in Design course helps to enhance and develop a strong ability to have innovative and creative approaches for business processes. In this course, students study the major topics like basics in design, cognitive neuroscience, social behavior, aesthetic appreciation, designing strategies, playfulness and gratification, entrepreneurship, multi-sensory processes, behavioral economics to Neuro-marketing, project management, experience design, design audit to service and systems design. In Ph.D. in Design course, students maintain creative strategic leadership which helps that ultimately lead to an ability to design contextually effective strategies, business processes, policies, tools and techniques for any and all sectors. They read blueprints and must be aware of building codes and inspection regulations. Top colleges and universities names, their places and the average structure of the fees which will be taken by the college for Ph.D. in Design course are listed below. For Ph.D. in Design course eligibility, candidates have to complete their Master’s degree in Design or any equivalent degree with a maximum of 50 % marks in a recognized institute. Candidates who have attended their final year master’s degree examination also eligible for this course. The percentage marks may vary from one institute to another. Eligible candidates may apply for Ph.D. in Design course through online or offline to the colleges. Applicants can apply online through the official website of the required college. Applicants can apply directly by visiting the required college and complete the admission process. Based on their performances in the entrance exams and personal interview they will be selected for Ph.D. in Design course admission. Ph.D. in Design: Who should opt? Many designers specialize in a particular type of building a home, or hotel, a specific room bathroom or kitchen, hospital, or a specific style. They are likely to knit or woven fabrics, specializing in print and their job duties may include a variety of different activities. Some designers produce plans, designs, and drawings for construction, and installation. Ph.D. in Design professionals may also work in areas include floor plans, electrical layouts, and their plans needed for building permits. Based on the project, an interior designer might need to meet with inspectors, plumbers, architects, painters, electricians, and other specialists to coordinate plans and make sure all requirements are met. Their job may require additional architects or designers, interaction with different clients, construction teams, and inspectors.